When looking back at television in the '80s and comparing it to now, it's easy to see some huge differences. For one, the quality of cinematography has massively improved, mostly thanks to the fact that the quality of our technology has become so much better. And for another, our adverts have adapted to modern culture. The purpose of adverts and television commercials has always been to sell a product or service, but techniques are now quite different. Let’s take a look at some classic TV advertisments from the ’80s and compare them to modern-day equivalents. 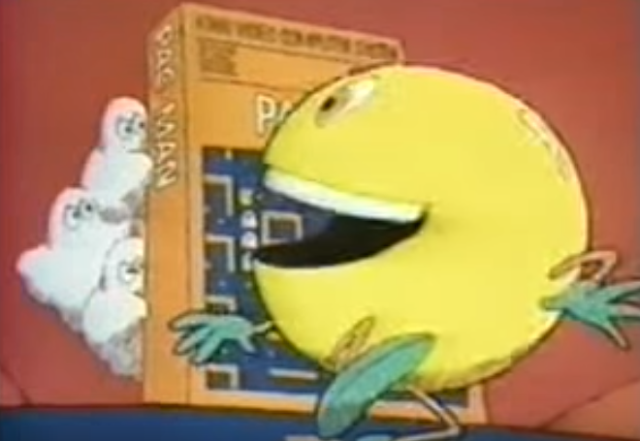 Remember this classic Pac-Man TV advert? This was released in 1982 and at the time Pac-Man was an innovative piece of gaming. Looking back on it now, they managed to make the simplistic design sound really exciting and a whole lot of fun. Because the game is geared towards families, the advert shows a close-knit family having a great time playing the game, and even the dog is getting involved. It wasn’t the most innovative advert ever, but it was a simple ad for a simple game. In those days console platform games were all the rage, but now one of the most popular forms of gaming is the booming online casino industry. Back in the ‘80s, kids loved to go down to the arcade and play the classics like Pac-Man and Tetris, along with the fruit machines of old. Now online arcades are the go-to form of quick and easy gaming. MrGreen slots are a good example of games that are trying to appeal to the modern-day audience. The online and mobile casino advert showcases some of the slick and shiny slot games available, and like the Pac-Man advert it also features shots of the kind of people who would play these games. The online casinos of today are clearly trying to appeal to the elegant, modern gentleman who is always well-dressed and good with the ladies. These two adverts are worlds apart because they are appealing to different audiences, but also because the online casino ad was over 30 years later. Times have changed and it’s perhaps a shame that modern families don’t sit down and play together as much anymore, with new technology such as virtual reality being geared towards a more personal gaming experience. This was a highly amusing advert because it mocked some of the “one hit wonder” bands of the ‘80s. It featured a shockingly Styled band of wannabees pitching their music to a record producer. The music involved sounded like a badly made mashup of Blondie and David Bowie, and the producer was clearly unimpressed. He suggested they “take a break” to have a Kit Kat so he could get some respite from the awful music. In a funny twist at the end, he said the band was rubbish but then went on to tell them he thought they would go far which is a sly dig at some of the bad music from the period. Similarly to the Pac-Man advert, this was a basic idea but it got the job done. Take the low production quality of the ‘80s Kit Kat advert and multiply that by 1000. This recent one from 2014 is actually like watching a film. The car chase is intense, well shot, and really brings the viewer into the action. The beauty of it is, until the guys actually stop the cars the viewer has no clue that this is an advert for a chocolate bar. The same idea applies in this one: you stop your job for a Kit Kat to “take a break”. The advert is also amusing, as the police then allow the criminals a head start so that they have to go back to chasing them. It’s a nice feature that Kit Kat has kept their slogan consistent down the years, but has improved the quality of their advertising campaigns. The TV adverts of the ‘80s are fun to look back on, and certainly have that nostalgia aspect going for them. But you just can’t beat the high-production levels of the modern-day adverts, which are getting more original and imaginative as the years go by. Even so, it would be great to recreate some of the ‘80s classics with modern-day twists and high-quality cameras.